A cross between a plant called "RD-BS-1" x H. 'Galaxy', this cultivar was registered by Jerry Hadrava of Iowa in 2000 as part of his Rosedale Series. The giant size mound grows to about 30 inches in height by 74 inches in width. Its leaves are slightly rippled, slightly corrugated and have a thin bloom on the underside. Lavender flowers bloom in July on 42 inch tall scapes. According to The Hostapedia by Mark Zilis (2009),"...honors a 1950s era rock-and-roller. Though his actual name was spelled "Ritchie Valens", Jerry chose to spell it "Richie Vallens"." 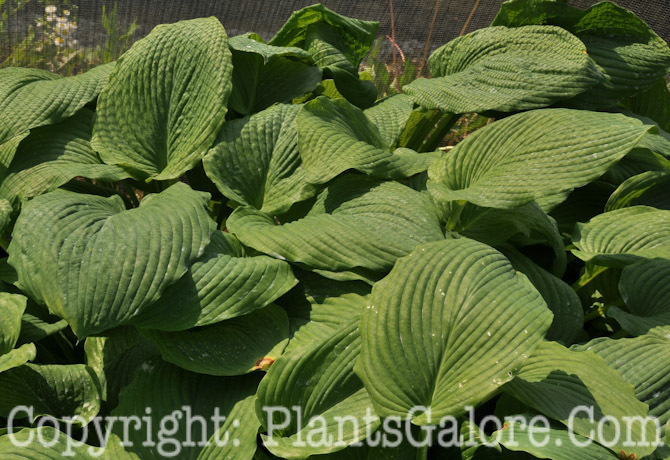 Similar hostas include H. 'Green Piecrust'.